Other tycoons may plough their millions into yachts or private jets, but Vasily Klyukin prefers a good "adventure". On his diary for next year? A space trip with Leonardo DiCaprio. 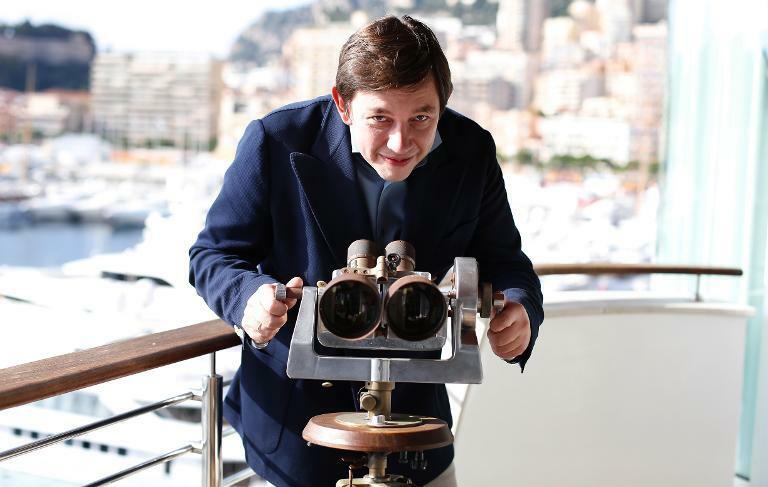 "I don't want to waste any time -- I want to live my life to the full," the Russian multi-millionaire, newly settled in the mega-rich principality of Monaco, told AFP in an interview. After a 140-kilometre (86-mile) raft trip, the fresh-faced 37-year-old plans a flight to the North Pole for next April. "I'll spend a night there, and then leave again." But what really gets him going is the dream of "zero gravity". Klyukin paid 1.2 million euros ($1.5 million) at a gala auction at the Cannes Film Festival in May to be travel buddy to Hollywood actor DiCaprio when he heads into space next year aboard the Virgin Galactic. For a coveted three hours, the Russian, who made his millions in banking and real estate, will get to see Earth from above, along with two pilots and five fellow passengers. "A journey into space -- now that's the most incredible challenge of my life!" he said. The sub-orbital trip was among 20 goodies up for grabs at the 20th amfAR bash, which helped raise a record-breaking $25 million for AIDS research. More than 650 people including A-listers like Brad Pitt and Angelina Jolie have so far booked seats for a minutes-long suborbital flight on the SpaceShipTwo (SS2) set to begin by the end of this year. The prices of the only trips into space so far, sold to private individuals travelling on Russian spacecraft, have ranged from $45 million to as much as $150 million. Virgin Galactic's price has gone from an original $200,000 to $250,000 (180,000 euros). But Klyukin wasn't in the mood to wait. "I knew Virgin Galactic was selling its space journeys for 250,000 dollars, but that would have meant spending years on a waiting list," he said. "I gave 1.2 million euros to a charity that was offering me a trip into space. I will be one of the very first." So far Klyukin has spent a few short minutes with DiCaprio. When the time comes, he will join the star for an intensive training session in New Mexico. Klyukin enjoyed his own flash of fame after he was outed as the winning bidder for the space trip in May. "It was fun for the first few months, I felt like a star!" he admitted. He was even approached by Virgin Galactic's rival, the California-based SpaceX (SXC), which last year became the first private enterprise to send its own cargo-bearing spacecraft to the International Space Station and back. The firm is marketing space trips at an altitude of 100 kilometres, starting in 2015 for a price tag of $100,000. "I might go twice -- but it's not easy to travel into space, you can feel unwell for months when you return," Klyukin said, referring to the disorientating effect of gravity shifts on the inner ear. Down on Earth, Klyukin settled last year on the French Riviera, but changed his mind and headed for Monaco a few months later. "The French are a bit tough with their taxes -- I decided not to take any chances," he said. His ground-level adventures for the coming years will mostly be architectural, with plans to build a 20-storey, crown-shaped skyscraper in Monaco dubbed "Comet Fortuna". "There aren't enough modern buildings here," he said as he looked out from the balcony of his luxurious fifth floor apartment, scanning the Hercules port in Monaco and its dense clusters of ageing buildings. 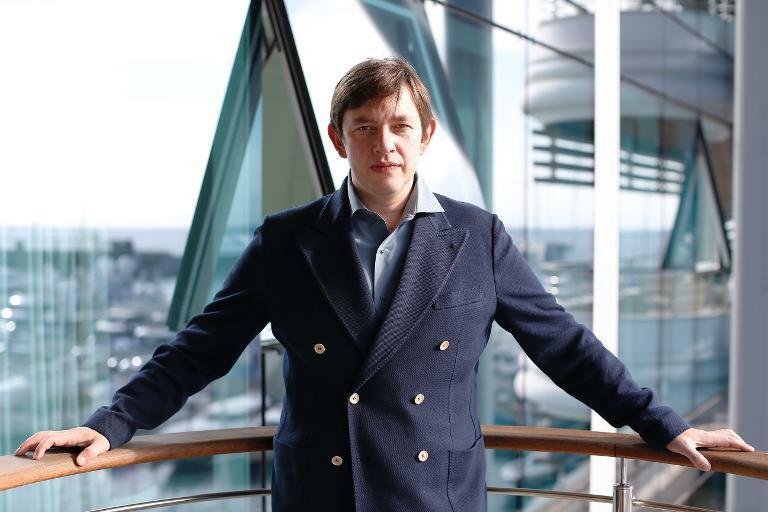 He has already acquired a site for his project, and is currently using it to showcase the work of Russian contemporary artists while awaiting a permit. Meanwhile this summer, he got started with a book of computer-generated design which received an enthusiastic reception at an architecture fair in Dubai. 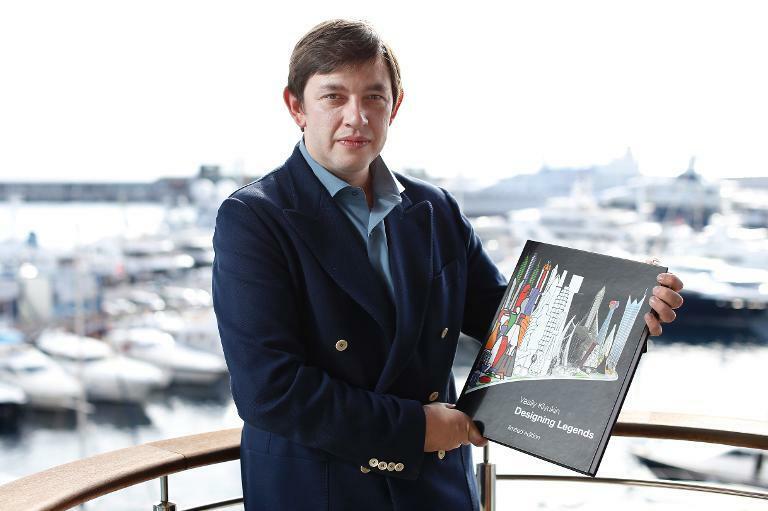 The book dots futuristic skyscrapers in cities around the world: a Concorde-shaped tower here, an iceberg building there, a jaguar, a tulip or champagne bottle. "I would like to change the direction of global architecture," Klyukin mused, undaunted by the scale of the task.